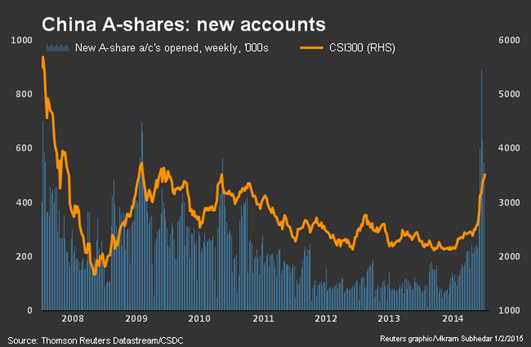 In China, real estate investing has been a bit out of style lately (see chart). What is the latest hot investment? 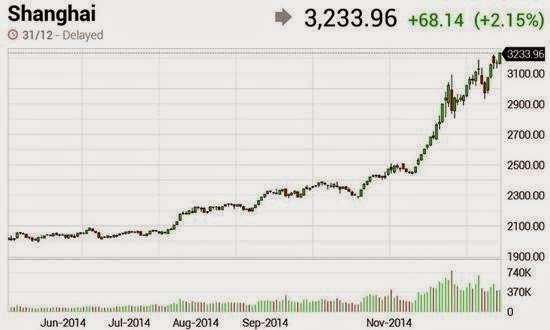 Stocks of course, as the Shanghai Composite makes new multi-year highs. In fact the index is up some 58% over the past 6 months - after being stagnant for years (see post from 2012).